Vestaburg Community School continues to upgrade security procedures, as well as, the physical components of school safety. Over the past two school years, Vestaburg has contracted with a school security expert, Sgt. Gary Valentine, to evaluate the security of the campus and the school’s security procedures. This is an on-going process that continues to lead to improved procedures and security upgrades. In the past year alone, Vestaburg has added several security upgrades including, video surveillance, a “Boot” door blockade in every classroom and office, emergency Rapid Response Room Number Placards, and are in the process of installing Ballistic Shields in glassed areas and doorways. In addition, as part of our program, we will be installing a blue tooth notification system that will cover the entire district and allow for immediate district notification of an employed “Boot” and location of the possible disturbance. As result, Vestaburg Community School will be one of the first three schools in Michigan to install this technology. In February of 2017, the school did an adopt a door campaign and the community really stepped up and raised over $20,000 in a month that paid for the installation and purchase of the “boot” product in each classroom. This year the Placards and the Ballistic Shields have been and/or are in the process of being installed. While, we will always look for ways to continue to improve the safety of our students and staff, we are very proud of the work and advancements that we have made. Our Board of Education and administrative staff have made a commitment to making our buildings as safe as possible. While we hope these upgrades are never needed to be used, we want our building and procedures to be ready and in place. The safety of our school is our number one priority! The Boot™ is a rectangular-shaped plate of 1/4 inch thick cold-rolled industrial steel. Each of its two steel pegs offer 8,000 pounds per square inch (psi) of tensile strength - totaling 16,000 psi when both pegs are fully engaged. The Boot™ weighs five pounds, offering tremendous strength to prevent entry from danger on the other side of your door. Our Ballistic Shield is far more than just a sheet of metal. Made from specially designed and tested aluminum, it is nearly impenetrable when installed over key areas on doors and windows. The unique material limits expansion caused by a fired bullet and creates razor sharp edges at the point of penetration. This combination assures that the shooter will sustain major injury while attempting to open the door. With a Ballistic Shield in place, the time a shooter spends using up ammunition attempting entry gives your students and staff time to barricade themselves in rooms secured by The Boot™. Unlike traditional placards, Rapid Response placards are reflective, 3D and visible regardless of hall length. 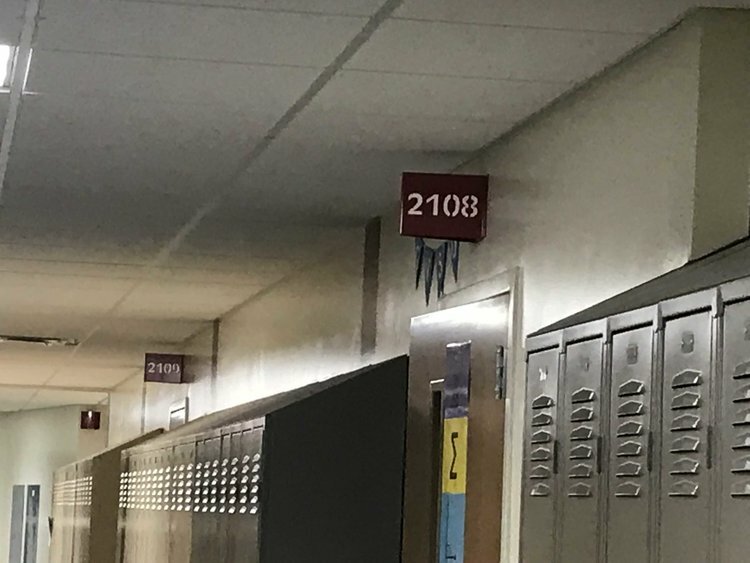 This assures an immediate response whether advising a parent, student, visitor or tactical team of a room number. Response time greatly increases if law enforcement must slow down or stop at every door to check the room number. The Rapid Response Room Number Placards make this unnecessary. The highly reflective, large numbers direct officers to the exact location without slowing down, giving them more time to plan, prepare and execute.